LP version. 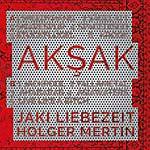 Aksak is the exciting encounter of two exceptional musicians from different generations: legendary drummer Jaki Liebezeit and percussion wizard Holger Mertin (Drums and More). Liebezeit, born May 26, 1938, in Dresden, Germany, and best known as a founding member of Can, has been called "one of the few drummers to convincingly meld the funky and the cerebral." 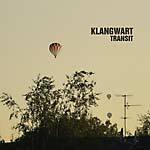 In the mid-1960s, he was part of Manfred Schoof's quintet, who were early exponents of European free jazz. 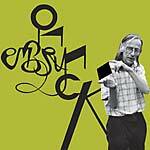 He subsequently moved towards the new possibilities being opened by psychedelic music as a member of Can. His drumming was prominent in the band's sound, particularly in his much-admired contribution to the side-long "Halleluhwah" on Tago Mago. Liebezeit is renowned for his exceptional "metronome" style of playing; other members of Can have suggested that he sounds as though he is "half man, half machine." Mertin, born in 1977, is a multipercussionist and specialist in rhythmic traditions. He is involved in diverse transdisciplinary projects. Mertin's playing is characterized by his spontaneous, melodious, and rhythmic style that is equally reflected in his individual instrumentarium. 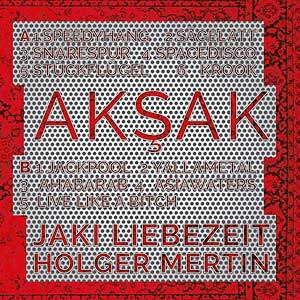 Mertin has collaborated with internationally renowned musicians and artists including Milan Sladek, Eberhard Kranemann (Kraftwerk), Martin Sasse (Sting, Martin Sasse Trio), Hayden Chisholm, Paul Shigihara (WDR Big Band Köln), Roland Peil (Die Fantastischen Vier), and Ali Haurand (European Jazz Ensemble). Like a zen master of the minimal, repetitive beat, Liebezeit -- famous for his hypnotic precision -- creates with only few sound colors the perfect matrix for Mertin's unleashed playing on any imaginable percussion instrument. The result is a mighty, complex pulse -- the groove of a better world. On the basis of that musical matrix, sound magician Joseph Suchy has produced a jaw-dropping album that defies any categorization. Even if other instruments like violin, guitar, brass, and electronics sometimes seem to take the lead, the compelling pulse is always in the center of this swinging music. Liebezeit, Mertin, and Suchy have created a timeless masterpiece that, despite its complexity, always stays melodic and danceable. That's how modernity sounds (and swings)! Jaki Liebezeit plays: world drum kit, hand cymbals, dholak, tambourine, bongos, and one-string percussion instrument. Holger Mertin plays: hang, hand cymbals, gongs, Modulationsscheiben, cymbals, tube sticks, frame drum, snare drums, melodic and metal percussion, helix bowl, tambourine, spoons, singing bowls, kalimba, marimbula, waterphone, K.G. sound sculpture, and overtone drum.